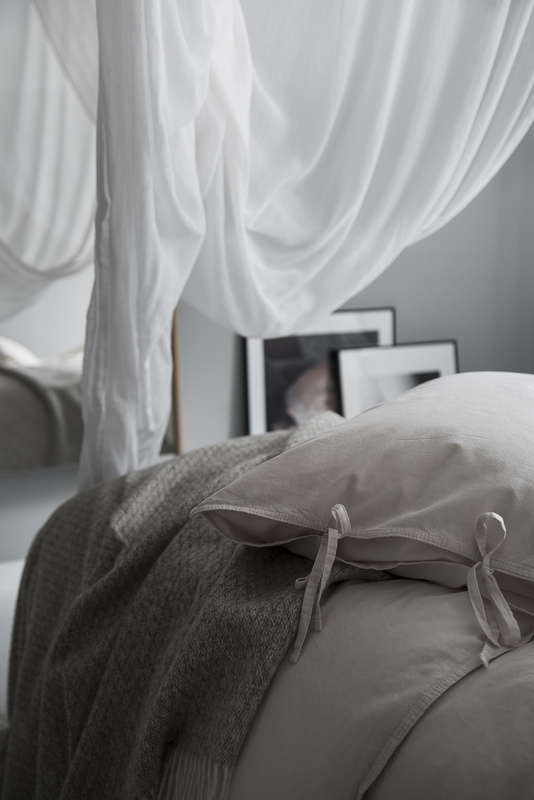 My duvets are from Høie of Scandinavia , the model is Høie Saga and you can find it here. 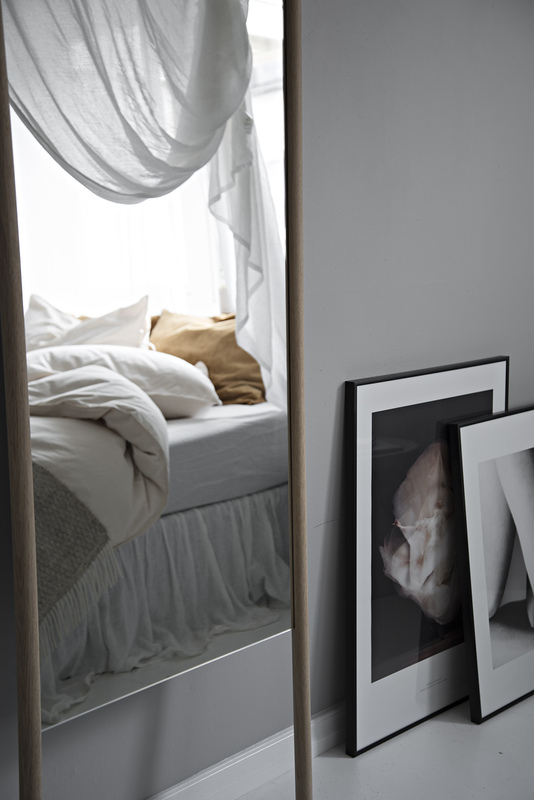 If you want to achieve exactly the feel and look, the size is 140×220 and it is the warm duvet , Saga varm dundyne . And really that’s all there is. I have done nothing to my duvets other than just occasionally fluff them by washing them , though I see no real difference from before washing and after. And mind you, I have been using mine for over two years now, they have not changed texture or “fluffiness”. 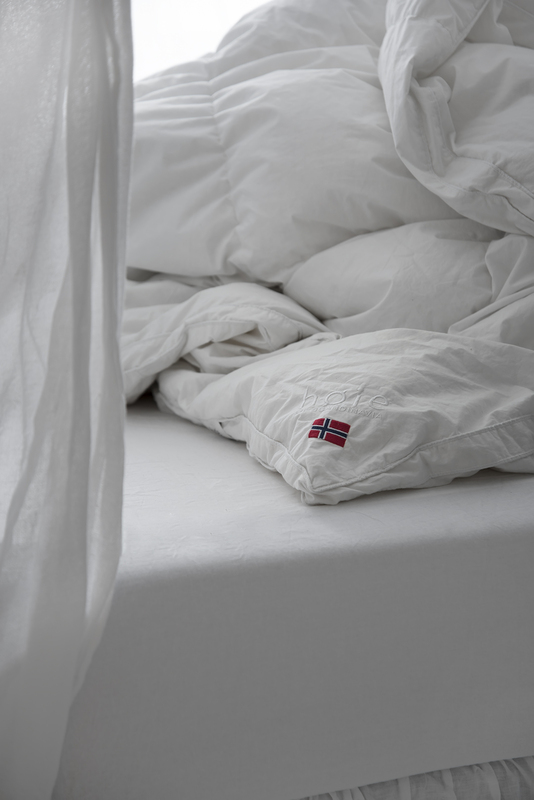 Warm and soft yet crisp and airy ( plus Allergy-friendly recommended Asthma Allergy Nordic), I consider them the best duvets I have ever used and I dont see myself ever changing them, other than perhaps replace them with new but of the same version. They are available in both cool, medium warm, warm and child sizes, the warm for the winter and the cool for the summer are perfect combinations. I know I will keep getting this question long after I have posted this, but I dont mind . 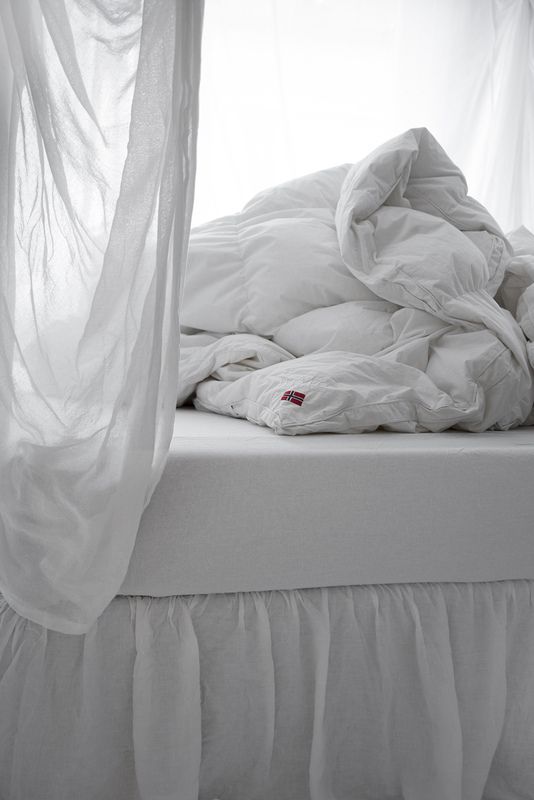 I remember I was just a teenager when my best friend bought a duvet that had all the Høie characteristics, but I did not recall the brand back then and then, years later when I started looking for one of my own, I never found anything close to the characteristics I was looking for, until I bought the Saga warm duvets from Høie. That is a long time to wait so I understand why so many people want to know, I would as well. 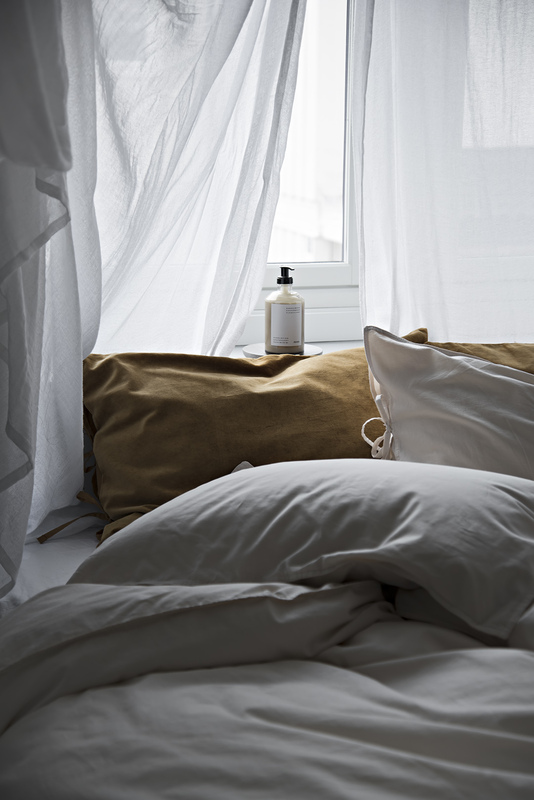 Also worth mentioning are the pillows I use, also from Høie, two Saga high ( Allergy-friendly recommended Asthma Allergy Nordic), and two Høie Frigg 350gr filled with 100% white Siberian goose down feathers. All Høie products are made in Norway, in Brekstad, an hour with boat from Trondheim. 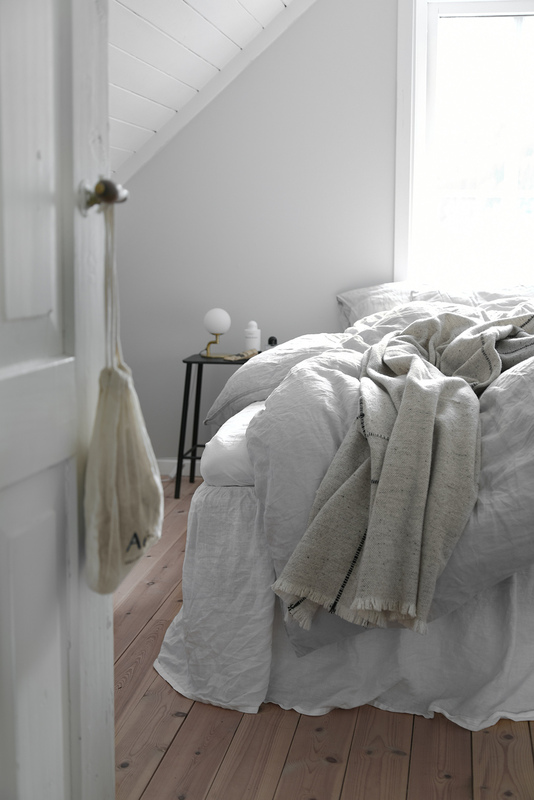 To finish up the look as you see it today, I have dressed my bedroom with the new duvet covers Cecilie in Ivory and two velvet pillowcases ( front velvet and back 100% cotton) Vanja in Oker. The Cecilie new line has impressed me a lot with its quality and softness. The extra fine cotton has a curling effect which means the fabric retracts and gives a natural relaxed expression. It also makes it feel thicker than plain cotton. In addition, the bed set is stone washed for extra softness. 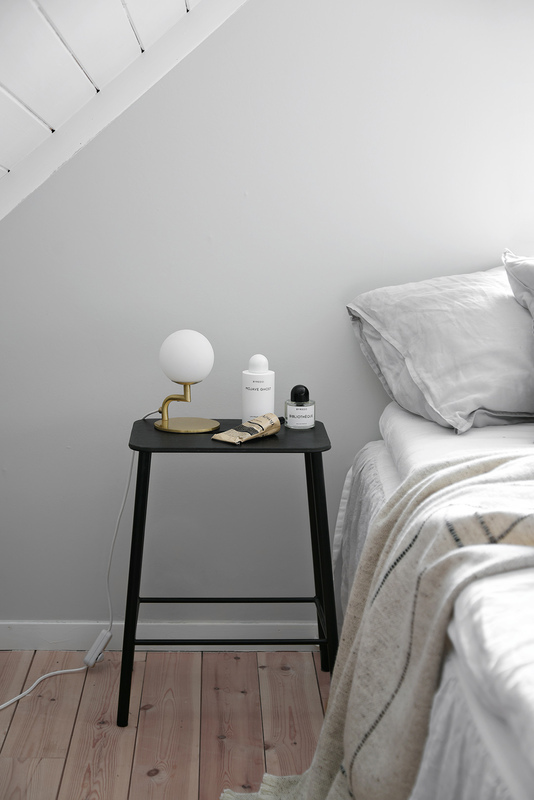 In occasion I have given you tips for really great quality cotton sheets that are budget friendly as well, Cecilie is probably the best I have seen, and not just from the budget friendly category ( in my opinion it could be well among much more expensive sets). 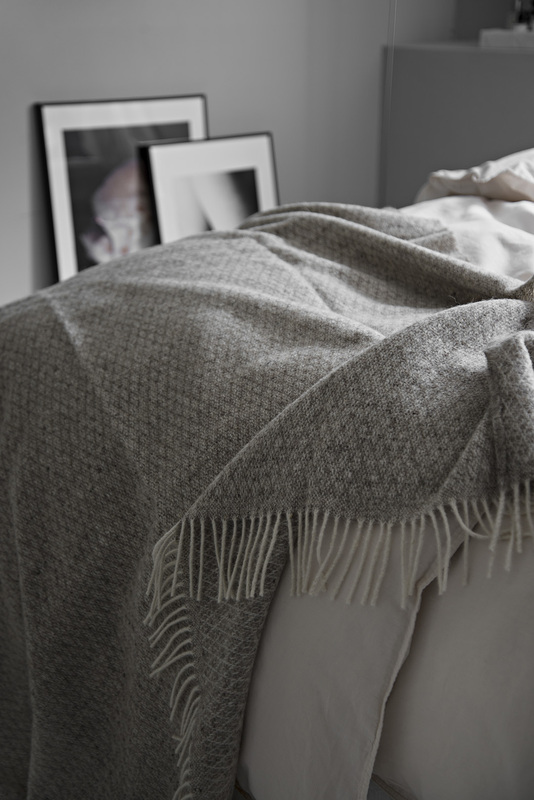 The woolen blanket is also from Høie and you can find it here. 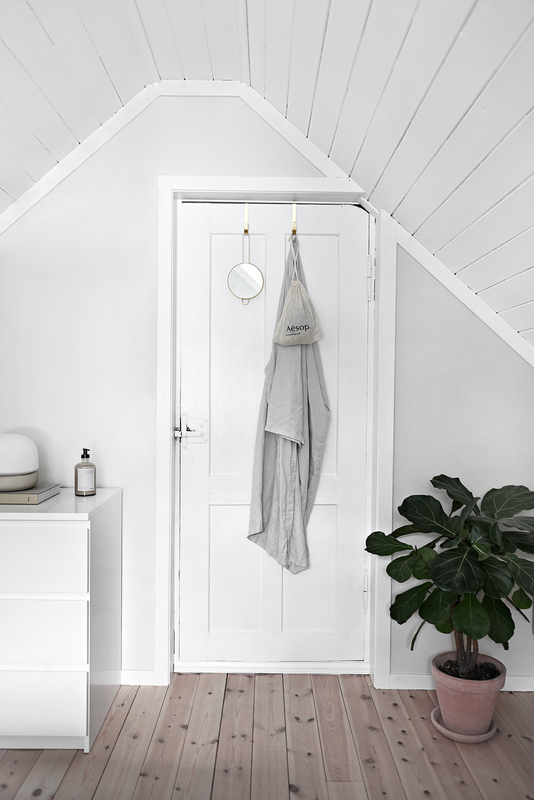 Now for the promo suprise code, Høie has just opened their Swedish webstore at www.hoie.com/se and have given me 20% off to share with you, just use code “Onlydecolove” after you are done shopping! Its now a perfect opportunity if you wanted to shop duvets or pillows or sheets, dont miss up on it 😉 The code can be used in both Norway and Sweden. Before I finish this post, I really want to highlight all of the green efforts of Høie, one of the reasons I love their products but also working with them. You can read more about it here and how Høie takes responsibility and acts, but also, you can also invest on their green duvets, that you can find here. 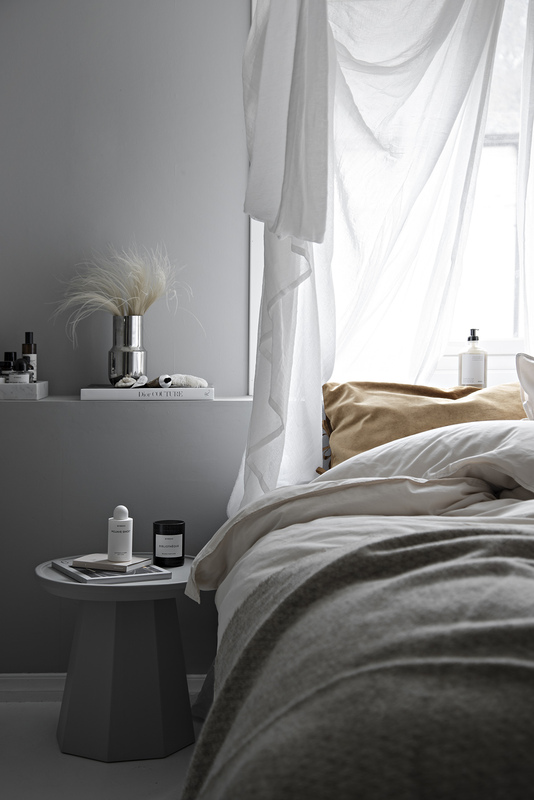 Høie Pure duvet is filled with white European 90% duckling – Swan label ( Svanemerket) . Sleeping in , you sleep in one of the most natural and environmentally friendly insulation materials. The Swan label places strict demands on the entire product life cycle and is your guarantee of reduced climate stress, sustainable use of resources and a non-toxic everyday life. It’s good for the environment and your health! And as an added bonus, my loved Saga line is also Swan certified! Since I need my bed to be allergy free this is double good news for me! You might have noticed but the blog has a new face! What you didn’t notice was that I also moved it from Blogger platform to WordPress, though this is not something that should be visible. It took me a few days however to sort everything out so this space has been more silent than usual. At the same time I moved from Oslo to the country ( Sogndal for those that know) for the summer , and let me tell you I have never been more exhausted in my life. Dont worry I am not leaving Oslo for good, but since I had to move out of the beautiful apartment since it was sold I thought it would be a good time for a break plus a good opportunity to search for a new apartment during the summer! Hopefully I will find a dream apartment in a dream price before September , or at least thats the plan! For now though, I hope you dont mind summer cabin photos, after all this is where I will be for the next few weeks! At the same time, this cabin just passed in our hands, before now I couldn’t really put my signature on it, so whenever I was here I didn’t show too much of it. Now that we own it though, I can finally change it at will, budget allowing of course. I am planning on painting and redecorating and I have already started so stay tuned for more posts! Today I thought I should share our bedroom on the loft, plus some tips! I dont have a before photo for this, my father in law actually had to take this room apart completely 2 summers ago and rebuilt it floor upwards. He kept the old door and the old window and installed new floors and tapestry. I painted over the tapestry a few months ago but I still dont really like how it looks. 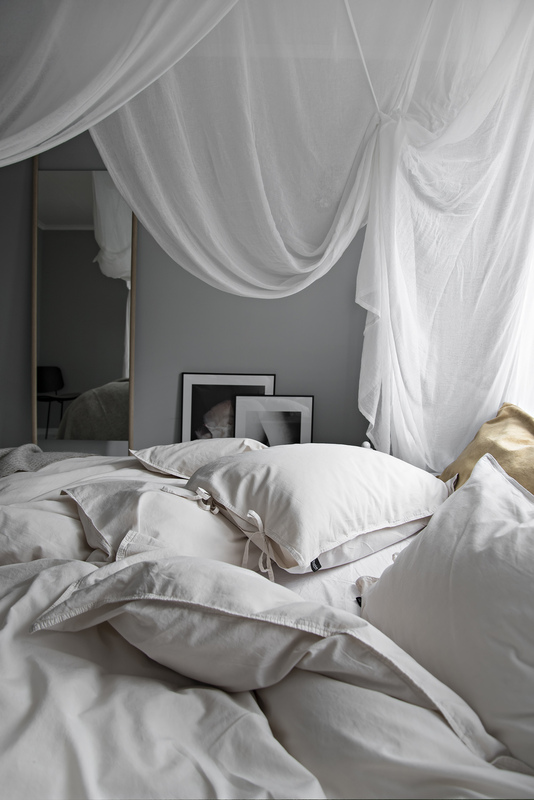 This is the same colour I had in my Oslo bedroom but due to the environment there it looked beige, here it is just grey and I m honestly tired of grey. I decided to paint the walls white but use the same type I will use on the doors, and here is the first tip! 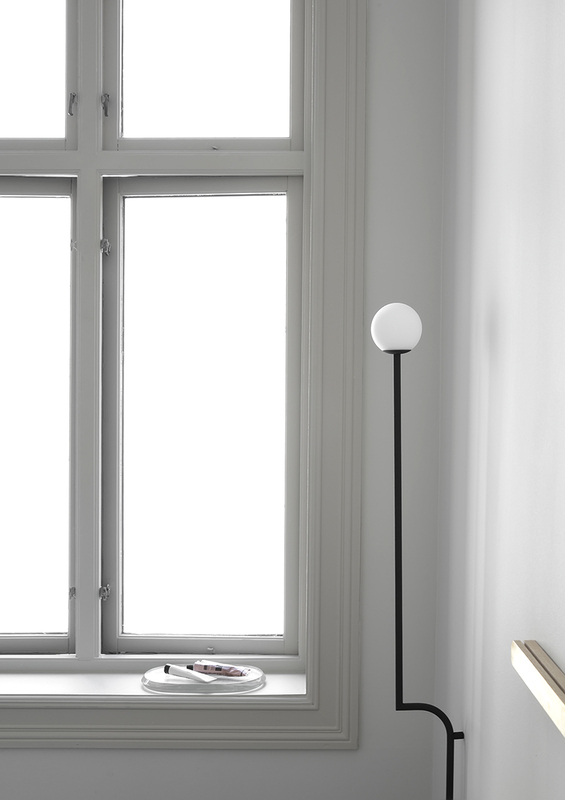 TIP : Use the same type of paint for the walls as the one you use for the doors and panels, if the surface is small, this way the walls will look slightly thicker and will fit perfectly with the doors and windows giving a sense of cohesion! Plus for my bedroom this will mean the room will look bigger as well. The slanted room is amazing, it makes for a cozy space, but it also tends to drive the eye lower making the room seem even smaller. Painting it all the same colour will solve more than one problems! Next on the painting list are the floors. The boards look beautiful but they have a yellowish tint that doesn’t show in these photos, but it will after white washing it! I only need to wash the floor carefully, then paint over once, fingers crossed it will look exactly how I have it in my head! I will make another blogpost after the changes and I will list exactly what I used to achieve colours and hues. The other tip comes in the form of storage. More than a year ago I bought these door hooks from Lagerhaus ( they also come in stainless steel ), they are very versatile and sturdy, and budget friendly! Since they are single they can be placed on any door and as many as the door can fit in a row, and they can hold quite a lot of weight as well. I have been using them for almost any door in the house, for hanging robes, to hand mirrors and purses or make up bags, anything that I use everyday and can be hanged for space, it will go on these hooks. And on the plus side? It really looks as if its styled for a photo when in reality it is just handy! What can be better than that? Beauty and usability! Advertisement // Sponsored post in collaboration with Pholc. 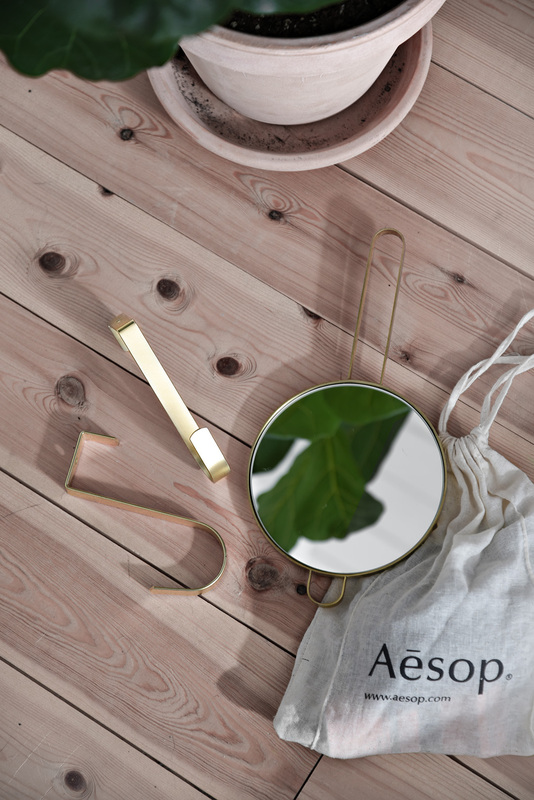 A few weeks ago I introduced you to Pholc ( find the blogpost here ), a relatively new brand in Sweden that has made quite a lot of waves. A favorite design of mine, the Mobil series which includes the beautiful five arms pendant that everyone loves that hangs in my bedroom . 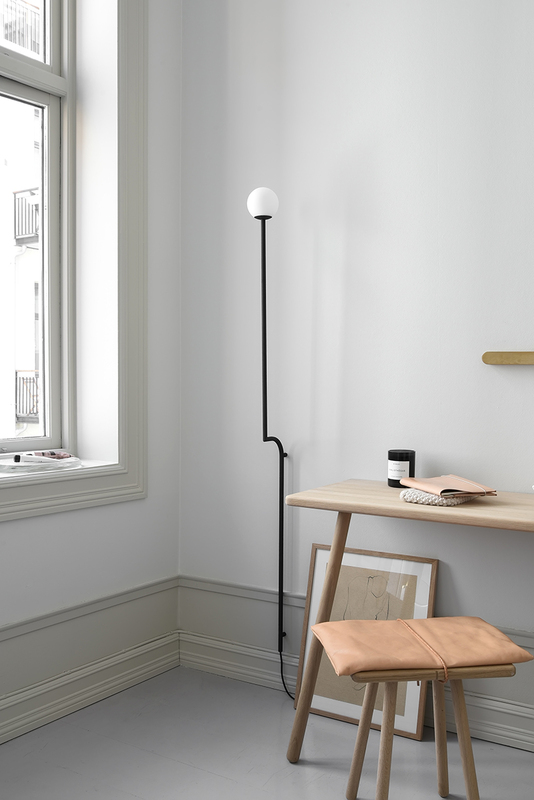 In the same series there are a pendant with 3 arms, 2 wall versions ( a tall and a short one) and a table version. The now very recognisable design with the curve wall tall version called Mobil 150 Wall can be seen in my home office space, right next to the beautiful big window. Scroll down and you will see how the shape changes depending of the angle you look at it, the signature curve can be seen so easily on the side, while if you look at it up front it looks completely straight! The designer created the series having in mind that they should easily adorn a New York loft, and while tall ceilings a big windows accentuate the design itself, I can still see it in a shorter height home, even a country house. For me this is where a design goes from just trending, to becoming a classic, when you can see it fitting just as well in a contemporary loft to a classic country house. Oh , and a piece of advice? Hide all the wires behind a poster on the foot of any lamp, as you see , this is exactly my solution here as well. 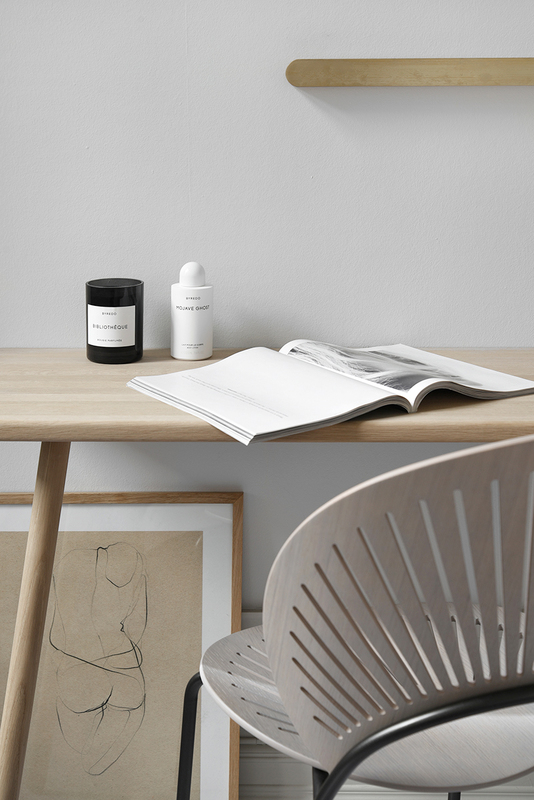 Advertisement // Sponsored post in collaboration with Fredericia. 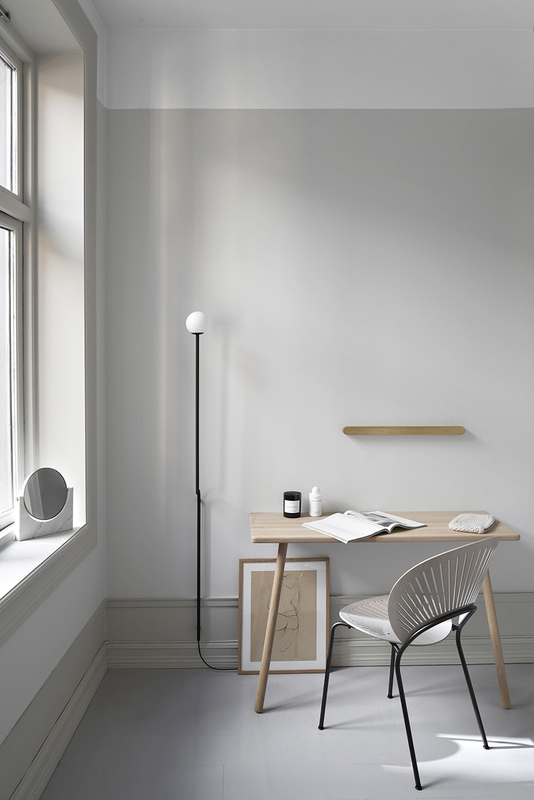 To celebrate the 25th anniversary of Nanna Ditzel’s iconic Trinidad chair, Fredericia relaunched the iconic chair in a selection of new shades, enhancing the natural beauty of the materials in a contemporary manner. 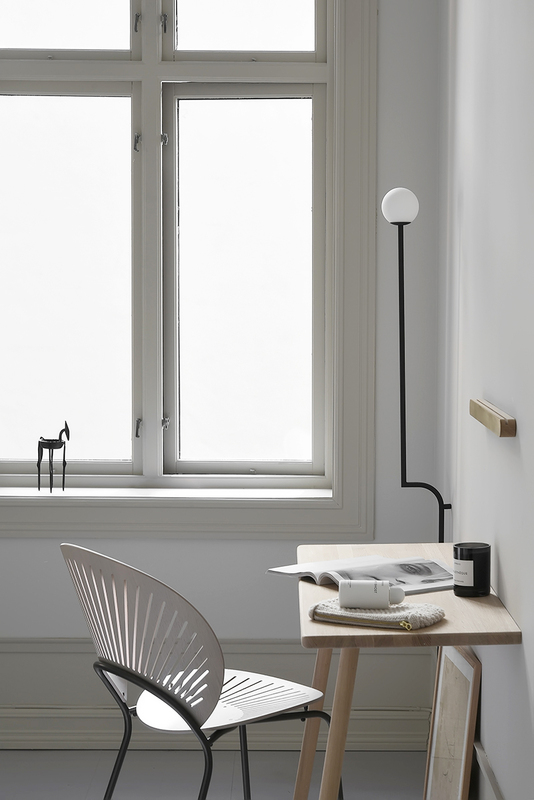 Like a Gingerbread facade, the Trinidad Chair gently plays with the sunlight, creating a sense of motion in the space. The lightweight design embraces the body and is designed to suit not only the setting, but also the person that sits on it. 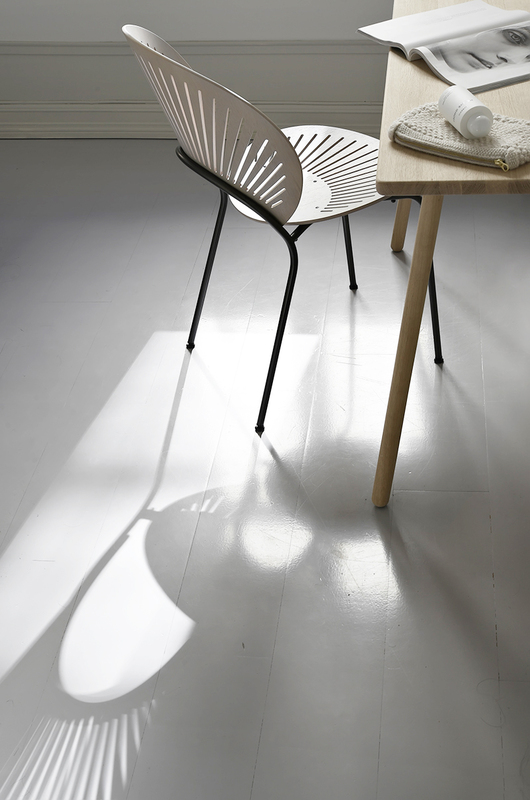 The precise transparency of the Trinidad chair almost dissolves in a play of light and shadow, yet at the same time gives the chair a strikingly bold voice. 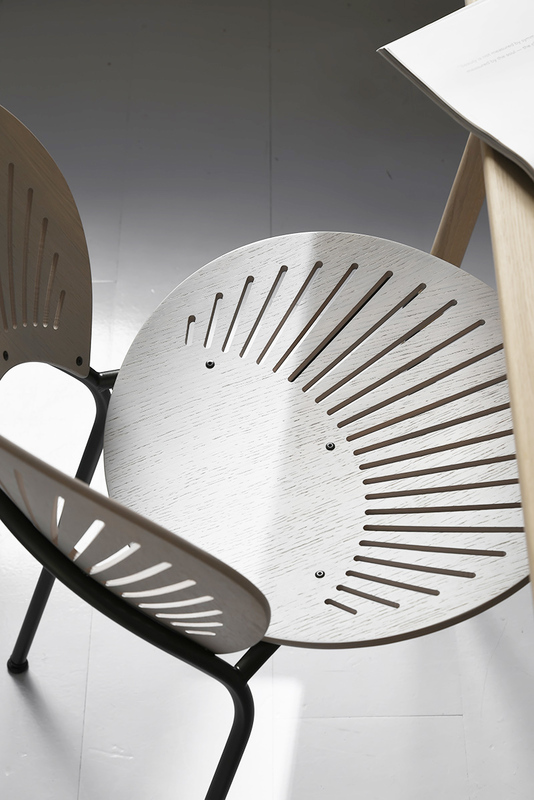 The new editions are available in smoked, grey and light grey oak leaving the veneer with a visible wooden structure. Inspired by the design I am also trying to use the chair accordingly. While its elegance stands out in both light and shadow, I am trying to place it in my space in a way that the light will always pass through it various times of the day thus creating a playful pattern on the floor. 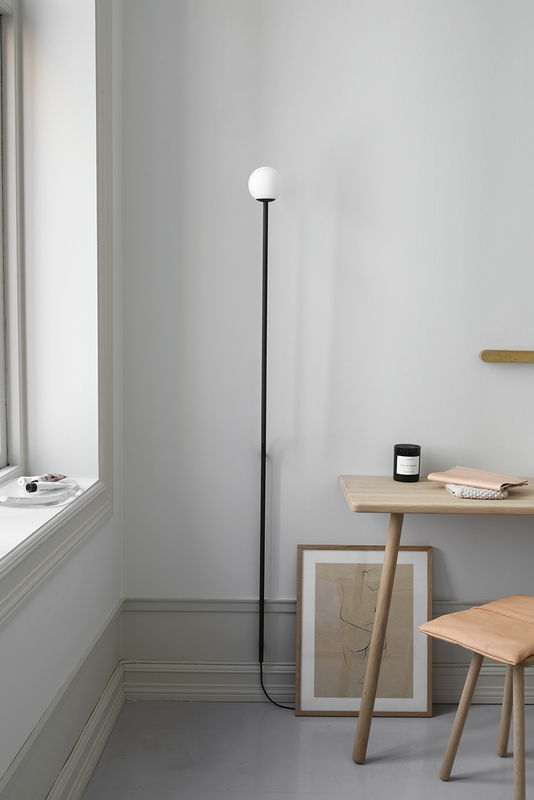 I also chose one of the new colours, light grey oak with black legs, so it fits my tone on tone styling in the bedroom/home office, although an all black would have looked great as well! Scroll down for more photos of the beautiful Trinidad chair, how do you like it in my space?